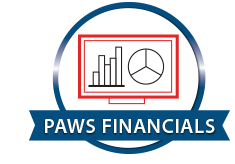 Golden PAWS Assistance Dogs is a 501c3 nonprofit organization that promotes independence for combat wounded veterans and children with life-changing disabilities through partnerships with skilled assistance dogs. Golden PAWS Assistance Dogs are always placed at no cost to those they serve. Golden PAWS Assistance Dogs provides education and community outreach in support of the mission through therapy and ambassador dog programs. Golden PAWS Assistance Dogs is a respected and sustainable organization that creates meaningful impacts for service dog recipients while making lasting contributions in support of our community and those we serve. Our extraordinary Golden Retrievers are the common denominator in all our work. While 95% of our service dogs are placed with Veterans, we recognize that not all will achieve the level of physical and emotional stamina required to serve these heroes. Dogs who cannot achieve the highest service level are partnered with children or other deserving individuals with qualifying disabilities. 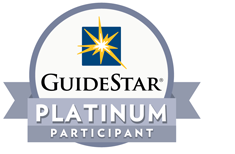 Golden PAWS is distinctive in its customized approach to each recipient and dog pairing and great care goes into placing the right dog for the specific needs of each recipient. This intensive process begins with specially-bred Golden Retriever puppies and continues for two years to determine the highest and best use for each dog. Our beautiful and talented Golden Retrievers also provide improved social integration and an increased sense of independence to those they serve. Please Note: Golden PAWS dogs are bred and trained to meet specific program standards and all applicants must meet program requirements based on our guidelines. You must be a combat wounded veteran or a child over the age of 6 with a qualifying physical disability. 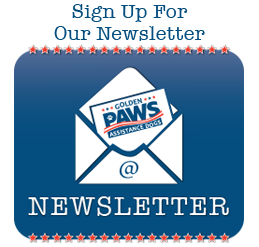 To apply for a Golden PAWS Service & Assistance Dog, contact us via our Contact Page.